Memory Lane commemorates the 100th anniversary of one of the most famous and tragic events in history - the sinking of the Titanic - with this unique limited edition collection of authentic music that was performed on that epic, ill-fated journey: light classics, operatic moments, salon pieces, ragtime and jazz, popular songs and noble hymns. Ironically, the music provides a charming historical snapshot of the elegant post-Edwardian age. All the tracks have been sensitively restored and digitally re-mastered to sound more vibrant than ever before. 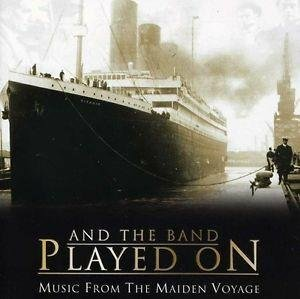 Most poignantly, 'And the Band Played On' includes the pieces performed by the heroic musicians who continued to play even as the great steamship Titanic sank into the icy waters of the Atlantic. The movie 'Titanic' reinforced the public's preoccupation with this overwhelming and avoidable disaster - as undoubtedly shall this 2012 anniversary.